Brooks Academy is the name of a group of set-dancers based at the premises of Na Píobairí Uilleann (The Pipers' Club) in Dublin's Henrietta Street. It was founded in 1982 by club members Terry and Kay Moylan and Jerry O'Reilly and Anne O'Reilly. From a beginning with just one set of dancers meeting once a week, it has grown to its present membership of around two hundred, with three classes per week. The club is run by a committee of six, who also teach the different classes, and which at present consists of Terry Moylan, Jerry O'Reilly, Irene Martin, Mary Friel, Eileen O'Doherty and Terry Cullen. The classes are structured on a graded basis, so that newcomers to set-dancing start with a class of beginners and can look forward to going through a three-year cycle with the same teacher, after which time they are considered to have been shown everything they can be shown and join our "club" night. In addition to our resident teachers, we regularly engage outside teachers to take over a class for a night. This is done in order to learn a new set or to expose our students at first hand to styles from different parts of the country. For the same reasons we organise trips to places where pre-revival set dancing is still strong so that our members can get to know the places, people, sets and styles from around Ireland. 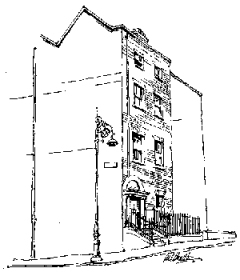 We have had Connie Ryan, Joe O'Donovan, Timmy "the Brit" McCarthy, Mick Mulkerrin and Muiris O'Brien to teach in Henrietta Street on many occasions, as well as many others on single occasions. Visits to dancers outside Dublin have been made to Mountshannon, Miltown Malbay, Lahinch, Feakle and Ennis in Clare, Ballyferriter, Dingle, Killarney and Kenmare in Kerry, as well as Knocknagree, Wexford, Dungarvan, Carna, Cúil Aodha, Westport and Cork City. Our trips and classes have a strong social aspect. The club has never been involved in the competition scene and our teaching is oriented strongly away from the "competition style", with its uniform dress and stylised manner of dancing. In our teaching we place great stress on the integration of set-dancing with music making, and we try to steer our members towards occasions where the dancing can grow out of the music, rather than the somewhat artificial céilí situation. We do also, however, run a monthly céilí in Dublin for the benefit of our members and friends, as not all our dancers are in the way of getting to the pub set-dance venues. We believe that we have made some valuable contributions to the present revival of set-dancing. We have been the first to dance and popularise several sets outside their "home" places. These include the Orange & Green Set, the Clare Lancers, the Sliabh Luachra Set (in Dublin), the Corca Dhuibhne Set, the Derradda Set, the Uibh Ráthach Set and the Waltz Cotillon. In addition we have, with other groups, helped popularise many more sets. Brooks Academy was the first group to publish a collection of detailed instructions for Irish set-dancing. Starting with Irish Dances, a collection of ten sets published in 1984, we have gone on to produce a total of five collections, comprising the instructions for fifty-seven sets. Irish Dances, The Piper's Set and other Dances and The Quadrilles and other Sets were edited by Terry Moylan, and Set Left - Set Right and The Walking Polka by Eileen O'Doherty. You can find some of our published Irish set dances on this site. We were also the first ones to publish recordings of dance music specially arranged for set dancing. Produced by Irene Martin, our series of recordings was started in 1987 and now runs to six cassettes, each with the music for three different sets. This is an idea that has since been taken up and copied by many groups and musicians. In our recordings, unlike most others, we have made a point of using a variety of musical lineups, a feature which makes the tapes not just good dance music, but great music to listen to as well. An indication of their value in this regard is the fact that an independent music publisher has recently brought out a two volume collection of session tunes taken directly from our cassettes. We intend shortly to make and release further recordings in this series. Dancers from our club were involved in the production of the recent series of set dance videos The Magic of Irish Set Dancing, and feature on two videos of the series, dancing six different sets. Club members have also appeared on various TV shows including the Late Late Show, Kenny Live, The B.B. Show among others. As individuals, our teachers have been in demand as workshop instructors and as céilí callers throughout Dublin and Ireland. Jerry O'Reilly and Eileen O'Doherty in particular are very popular callers and are much in demand. As a club we have been invited every year since 1988 to Paris to conduct a set-dance workshop on behalf of the local Association Irlandaise, and members have also taught workshops in other parts of France, in England, America, Denmark and in Italy. In 1996 the club was twice invited to Paris to conduct traditional music events as part of the Imaginaire Irlandaise festival. Since 1985 we have run one of the classes at the annual Willie Clancy Summer School, and in recent years have run a week-long series of céilís on behalf of the school. As a committee, we probably all feel that our group's greatest asset lies in the relationships that we have established with musicians and with "source" dancers around the country. We are confident that we enjoy the trust of the older dancers, who know that if they entrust us with their traditions they will be treated with respect and not abused or exploited. We try to teach a style of dancing that is relaxed and friendly, and to create occasions for dancing at which our informants themselves would feel comfortable. Our approach to set-dancing is based on the fact that it is a dance which is performed by a group of dancers together, and not by eight soloists. The present teachers have a considerable amount of experience covering all branches of Irish traditional music, song and dance. Terry Moylan is a piper. He was the first to produce collections of traditional sets, and was primarily instrumental, with his wife Kay, and Jerry and Anne O'Reilly, in founding Brooks Academy. He has edited several books on Irish music and dance and has also contributed articles to various publications. Jerry O'Reilly also plays the pipes but is better known, throughout Ireland, as a singer. He is one of the committee of the Góilín Singers Club which meets every Friday night in Dublin, from September to May. Mary Friel has also had considerable experience of organising traditional music events as a member of Comhaltas Ceoltóirí Éireann. She is a step-dancer, plays the concertina and sings. Eileen O'Doherty is one of Ireland's leading collectors and publishers of set-dances. Her two collections include over forty dances, all of them notated from primary sources. Terry Cullen has been involved in traditional music since his youth, both as a dancer and singer. The teachers contribute their time to the club on a voluntary basis. All funds raised from membership or from activities are used either for publications or to support Na Píobairí Uilleann. Finally, why are we called "Brooks Academy"? Well, we needed a name and the song Lanigan's Ball had just been made popular by Christy Moore, so we lifted the name out of that. The hero of the song spent "six months at Brooks Academy, learning the steps for Lanigan's Ball".